A “close source” has confirmed details on the timing and design of the next iPhone. Speaking to BGR, Apple’s iPhone 5 will launch in fall of 2012, in a similar time frame to this year’s iPhone 4S launch. 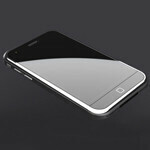 This contradicts earlier reports that a redesigned iPhone might launch this spring. The source also indicated that Apple would be using a plastic or rubber material for the bezel, covering a redesigned antenna that will once again encircle the phone, but without any interference from the user’s hand. It will also allow Apple to use a new aluminum back plate, but without plastic inserts on the back plate, like those seen in the iPod touch and iPad. Other reports have indicated that the new iPhone may use a four inch display, although this was neither confirmed nor denied by BGR’s source. It’s worth noting that other reports indicated that an “iPhone 5” prototype with a larger screen and a new design were originally planned for this year, but that the phone was scrapped in favor of the iPhone 4S out of concerns about iOS fragmentation, as the new phone would have introduced a new resolution that iOS developers would have had to account for. It’s also expected that Apple may look to put LTE in the next iPhone, as newer LTE chipsets with better battery life become available in 2012. Cant you just edit your post instead of responding to it? good point... I have noticed though that there is like a 10-15 minutes time limit to edit and then option disappears. His comments are #1 and #3. Someone else posted before nak noticed his error, and PA doesn't let you edit your posts if someone posts after you.. If you are saying the iPhone 4S didn't have HSPA+, well it did. It just wasn't the fastest HSPA+ (at 21 Mbps on AT&T). It instead was the slower 14.4 Mbps. And I am sure on the next iPhone they will have LTE and HSPA+ as with all the new AT&T LTE devices now. That is why AT&T was touting that their iPhone was the fastest because on Sprint and Verizon, theirs ran on 3G airwaves instead of the faux 4G. Here we go again!!! Can we at least wait till the end of the year? Here we go again with the here-we-go-again'ers. I really have a reason for going to this site. It's not to here facts all the time. It's not to here official announcements all the time. It's to here rumors, scuttlebutt, teasers, he'll fantasy concepts about the future phone and well I guess even tablet technology. This stuf about oh jot again with the iPhone talk the last one just got real eased is what's oh no not again. Because that's the whole point of this site. I hope there is always more speculation. It's entertaining to some people. Haters be hating. and theyll call there 4 inch screen innovative and it will change everything, lol. No you just called it that, they didn't. Ya, but Apple will find a way to make iSh*ep believe that its the newest, most innovative thing since sliced bread. They do it everytime, with most of what they offer. "Introducing...the new Iphone...with...a camera...AND!...it now can shoot VIDEO...BUM BUM BUUUUUM." Wow, few years behind Apple...Now they will have the first...oops...LAST phone to have a 4" (ish) screen. But they will make a big deal out of it, I am sure. I feel for all the iSh*ep out there...Android may not be anywhere near perfect in some peoples eye...but dang, its so much better if you actually know how to use a phone and you are over the age of 7.
lol i won't take your comment serious if you try the i-S-e-e-p word. I hope you get reported for it. And also who's so stupid to thumb you up for that? That's funny I was thinking your are a goofballs troll but they did kind of put video on ther iPhones late in the game and made a big deal about it. Although apple while not inventing really to much they have takin technology and made huge improvements that changed the mobile industry forever. That being said the concept of the iPhone was probably thought of by geeks like me long before apple came out with the iPhone. Microsoft really missed on that opportunity considering they could have made a product like that but did not think it would catch on. Now it's really hard really come out with something that much of a game changer considering how often there are littelmsteps in innovation coming out. I would guess something like holographic projections like off of star wars would be nice along with other stuff doling around in my geeky head. @mike. Yes, ip5 will change everything again. Probably not because of the display size, but with the design and something else that's awesome that will come with the ip5. And then we would watch Samsung and the other android copycats, change everything about their designs to copy the ip5 and also the other goodies that will be included in the ip5 :) Just like they are scrambling to come up with their own Siri-like assistant on the ip4s :) And then comes the classic excuse, "oh it's been out there before", or, "google has been working on that for ages already", lol. i love that people LOVE the iphone and say that everyone else copies it... yet how many heavy 3.5" screen phones with glass backs and metal sides have come out in the past 2 years.... oh, just the 4 and the 4s? yup, everyone wants to be like them. BUT omg if the iphone comes out with a 4"+ model that SOOOOOO wont be copying the other manufacturers (insert sarcasm here). wtf they had like three different apps like siri, before siri came out, apple just wanted also something cool, but i don't see anyone coping anyone there. I just think that their OS and marketing team is boasting too much. Siri, a "new" camera and such are allllll so inovative (android had voice around 4 years ago and camera editing does not need to come stock[market...duh]) This time, mikerouche will be so right.